Jack Rattikin Jr. is the second President and CEO of Rattikin Title (1969-2004) and our current Chairman of the Board. The son of founder, Jack Rattikin Sr., Jack Rattikin Jr. grew up in the title business, surrounded by all things University of Texas. Both Jr. and Sr. attended many University of Texas football games and Jack Sr. would often introduce Jack Jr. by saying, “This is Jack Jr. I want you to meet him because he is going to the University of Texas Law School.”—long before he attended in 1953. 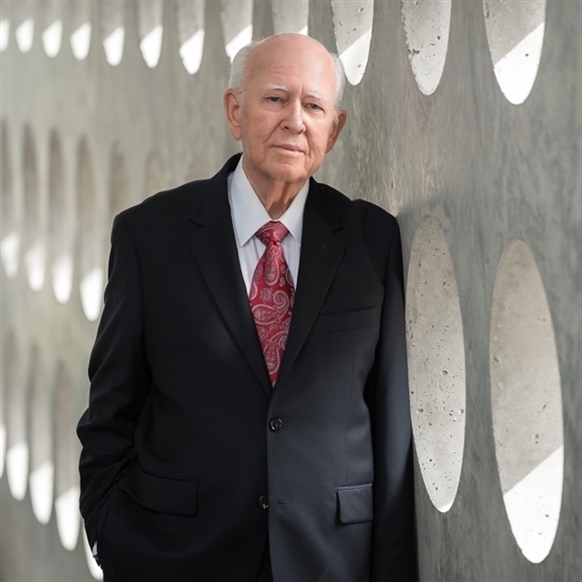 During Jack Jr.’s time at the University of Texas, he served in the ROTC and graduated with a Bachelor’s of Business Administration in 1956 as well as a Bachelor of Law and Doctor of Jurisprudence in 1957. Though he was protected from the draft during Law School, after graduation in 1957, Jack Jr. joined the army and served in the Transportation Corps in Virginia. After his service, Jack Jr. returned to Texas where he practiced Criminal Law for a short time before officially joining Rattikin Title in 1969. With over 48 years of professional title insurance experience, Jack Rattikin Jr. served as President of the Texas Land and Title Association from 1974-1975 as well as the American Land and Title Association from 1984-1985. He was awarded TLTA Title Man of the Year in 1964 and the YMCA Chi-Rho Award in 1980. Jack Jr. lives in Fort Worth, Texas and continues to work in our downtown office.